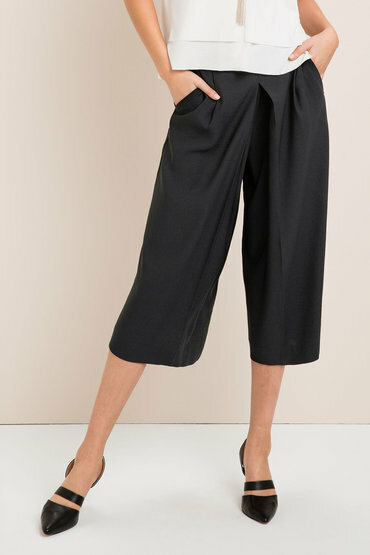 Culottes are a versatile and fashion-forward staple this season. Emerge has added flattering pleat detailing to create a structured but comfortable silhouette. Complete with a side seam zip fastening and angled front pockets. Wear this on-trend style with a black top and pumps for a modern chic look.